1. Wash and pressure cook the green gram for 3 to 4 whistles by adding enough water. (see notes) Keep it aside. Meanwhile, mix the rice flour with the salt. 2. Sprinkle water little by little and mix it with your finger tips. The flour should be moist but it should be crumbly. If you take a little flour between your thumb and index finger and press it tightly, it should hold its shape. That is the correct consistency. Now, get ready with the grated coconut. 3. 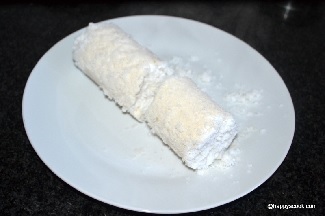 Take the puttu mould and start with the layer of coconut and then add the prepared flour. Alternate the coconut and flour till the end of the mould. Cover the mould with the lid. Fill water in puttu kudam and boil the water. Then place the puttu maker on top of it. Cook it on the medium flame for around 5-7 minutes. To de-mould, push the back of the mould with the wooden ladle. Fry the Pappad. 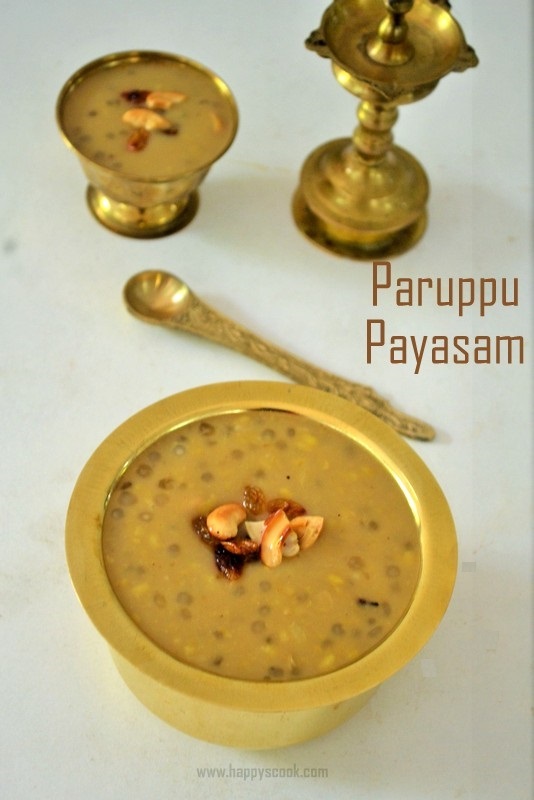 Serve the puttu when it is warm along with payar(green gram) and fried pappad. I usually cook the green gram with immersing level of water for 3 to 4 whistles. You can soak it overnight too for easy cooking. Some people like the green gram if it is mushy since it binds well with the puttu after mixing. Few other doesn't like the mushy green gram. Hence cook the green gram as per your taste buds. If you don't own a puttu maker, then you can prepare it using the idli mould or steamer. Just alternate the layers of puttu flour and coconut. Steam it until the puttu is cooked. Homemade Puttu Flour: To make puttu flour at home, wash and soak the raw rice for 4 to 5 hours. Then drain the water completely and dry it in a cloth for 20 mins. Grind it smoothly when it is slightly moist. Then dry roast the flour on a pan until nice aroma comes. The colour should be changed and the consistency should be similar to sand. Allow it to cool and store it in an airtight container. You can use ready made or homemade puttu flour for making puttu.